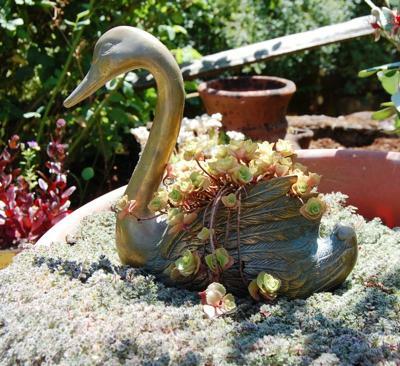 I had so much fun planting this brass swan. I drilled holes in the bottom and planted Sedum 'Tri-Color' in it. It is swimming on a sea of Wooly Thyme.